Volkwerke has specialised in Audi almost since its introduction to Australia. Alongside its parent company we have focused on mastering the brand. 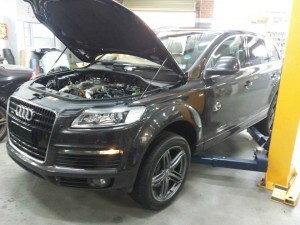 Our workshop has been fully equipped to work on your Audi with no compromise. We follow the Audi service schedule of 15,000km/ 1 year intervals and use Liqui Moly Audi approved oil to ensure our servicing does not affect your factory warranty.